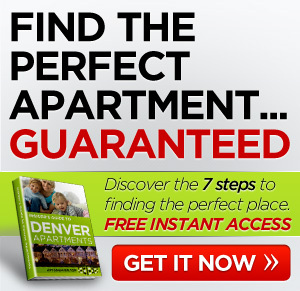 Apartments in Denver come in all price ranges. While the average rent in Denver is only $788 per month, Windsor Lake has four luxury housing complexes that come in well above average. 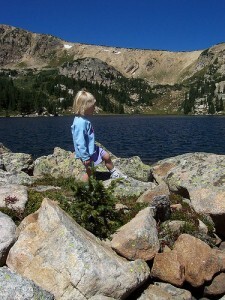 Boundary Bay, at 9071 East Mississippi Avenue in Denver is set on Windsor Lake and offers townhouse apartments sized between 1,071 – 1,809 square feet. 2-car garages come standard here, and rent rates range from $1,100 – $2,100. A fairly car-dependent area, grocery stores, banks, schools, coffee shops, restaurants, and other local amenities are at least half a mile away, as are most public transportation routes. The commute to downtown Denver takes about 20 minutes in traffic. Winter Beach, located at 9057 East Mississippi Avenue in Denver, this apartment complex is in the same development as Boundary Bay. The units are smaller, sized between approximately 826 – 1,236 square feet. 1-car garages are included with the unit, and rent rates currently range from $820 – $1,580. Less car-dependent, this complex is closer to the things that matter. Groceries, coffee, restaurants, a bar, and an ATM are all within half a mile and the site is a little closer to public transportation options. Gold Coast, a neighbor to both Boundary Bay and Winter Beach, is at 9201 East Mississippi Avenue in Denver and features both apartment homes and multi-level townhouses. Units here are between approximately 650 – 1,278 square feet. Garages here are optional; and, while cats are welcome, dogs are not. 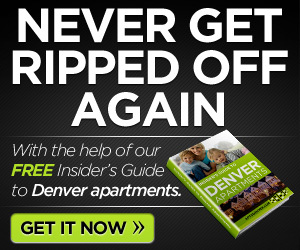 Rent ranges from $745 – $1,443. You’ll be fairly car-dependent living here, many local amenities are over half a mile away and so is public transportation. Fridays Harbour is between Boundary Bay and Gold Coast, located at 9123 East Mississippi Avenue. The apartment complex features units sized between 767 – 1,086 square feet. Garages are optional and cats are welcome. Rent rates here now range from $725 – $1,260. Like the other properties in the community, having a car is important so you can easily access local shopping and other necessities. Living in such a beautiful community by a lake has a price; but, overall, the newness of the community and the well-maintained grounds are worth every penny. If one of the properties listed above doesn’t tickle your fancy, check out Oyster Keys and Marble Head, two other complexes in the same community. Plan out an afternoon and drive out to visit these properties, you’ll be glad you did.